Protection cover for the Waouuh 360 octagonal trampoline. Protection cover for Waouuh 3.60 m trampolines. 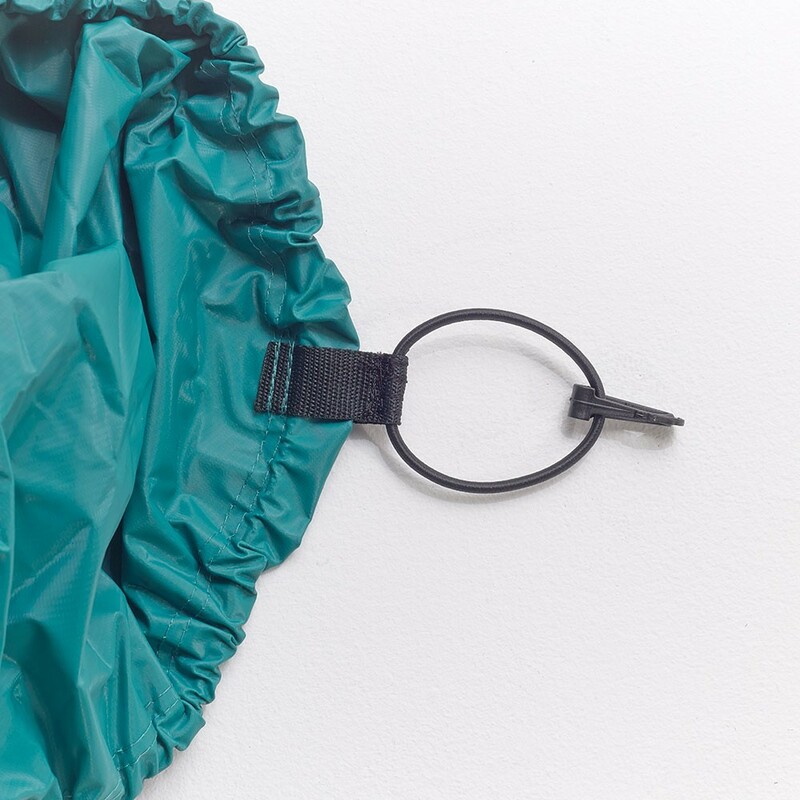 This protective cover will protect your Waouuh 360 trampoline or 12ft octogonal trampoline efficiently from the effects of wear and tear or the passing of time. It will allow you to leave your trampoline outside all year round, whatever the weather and to keep it clean for immediate use. 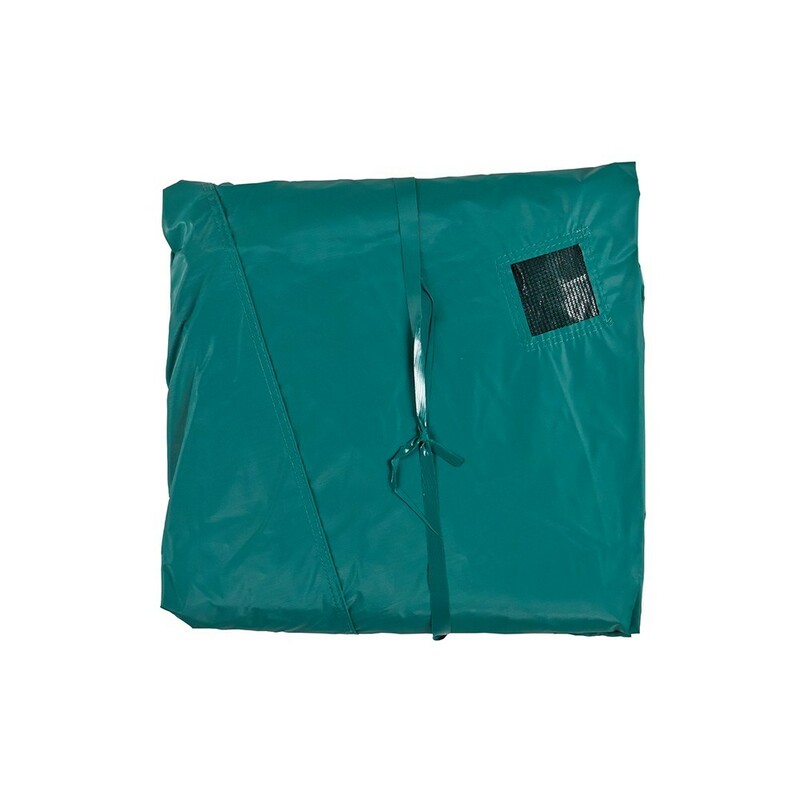 - This cleanliness cover is made from fabric coated in green PVC and has been designed to resist climatic change. The PVC used in the design is the same as the PVC used on lorry tarpaulin. PVC is known for its strength and waterproof qualities. - It is tightly held in place using a thick elastic band and offers optimal protection to your jumping pad and frame pad. If your trampoline has an enclosure, it can easily be taken down and protected by the cover too. 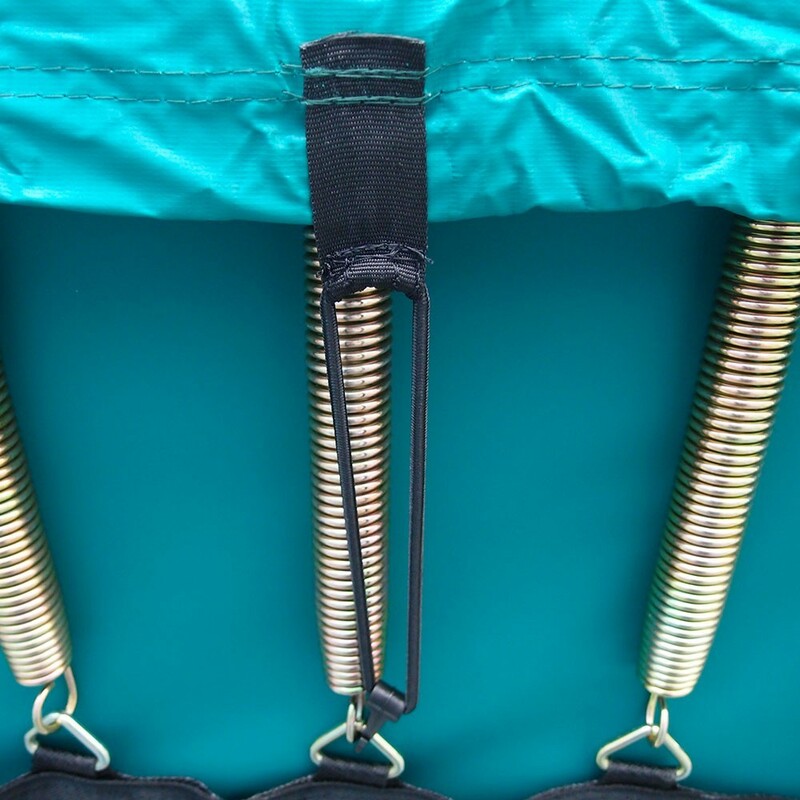 To strengthen the whole system, hooks are used to fix the cover under the frame pad and stop it from coming undone. 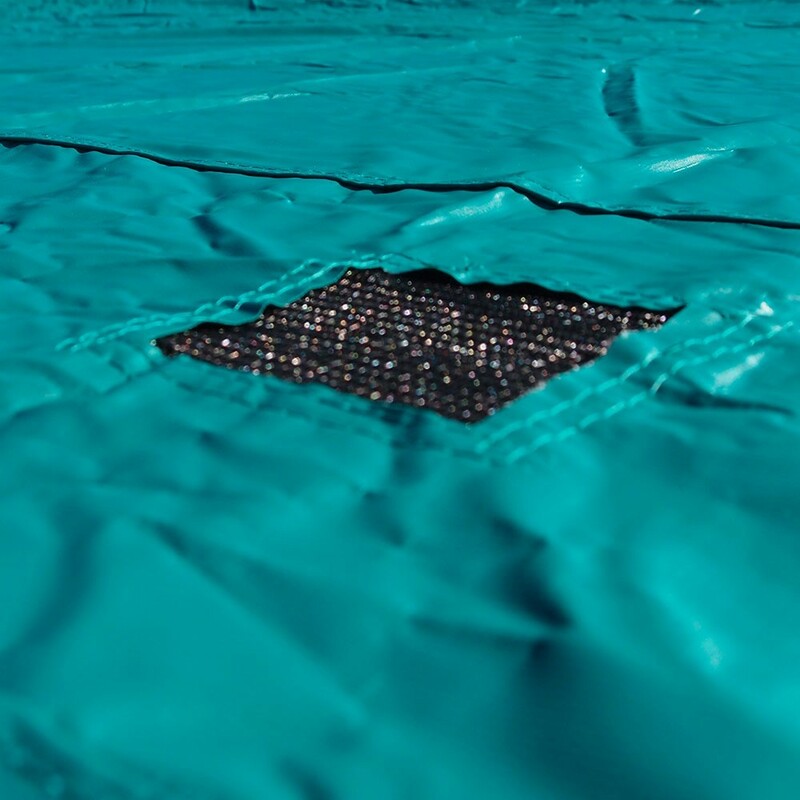 - In order to avoid any water from pooling on your trampoline and damaging the springs irrevocably, the protection cover has several evacuation grids. Consequently, the dynamism of the trampoline is preserved by avoiding stagnant water. - The cover is green meaning that it will blend perfectly into your garden. You can use your cover all year round as it has been UV protected to resist against sunlight. It can therefore be used in summer as well as throughout the winter. 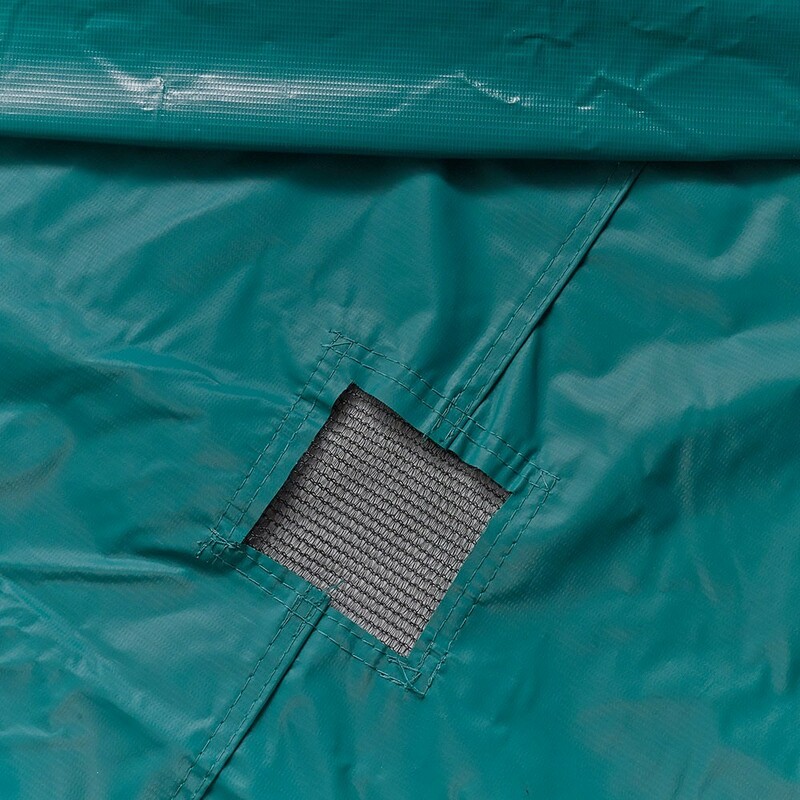 Thanks to the correct use of a cleanliness cover, your trampoline will be clean and easy to use all year.